This fall, Streetcar Developments and Dundee Realty Corporation launched The Carlaw in Toronto’s Leslieville area, and the condominium has been incredibly well received by the public. In fact, 45 per cent of the suites in this intimate 12-storey building have already sold! This level of success is nothing short of extraordinary. What an exciting addition The Carlaw makes to the vibrant Leslieville community. With this incredible condominium, the area has truly arrived as one of Toronto’s most desirable residential destinations. There are film studios nearby, and the neighbourhood is home to new cafés, shops and services, as well as many of Toronto’s favourite specialty stores and restaurants. Jimmie Simpson Park is literally down the street, and streetcar access is close by. 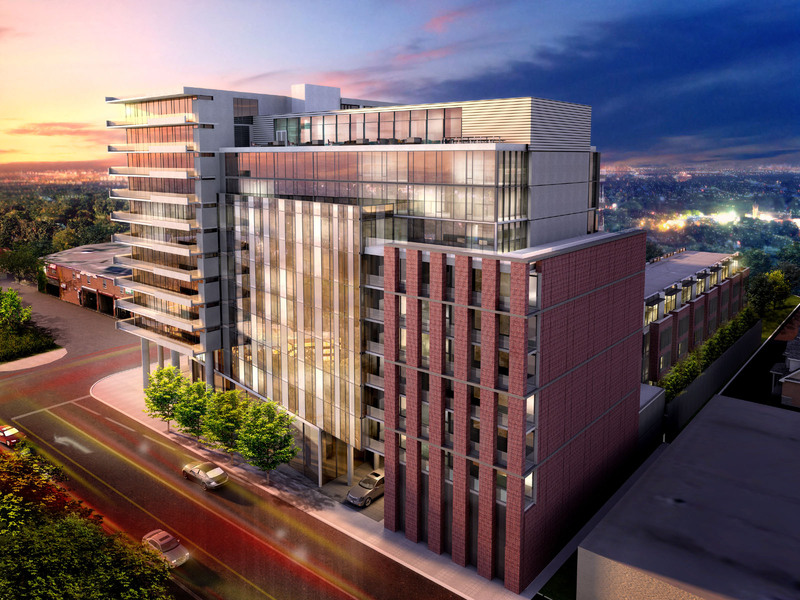 The 12-storey Carlaw adds sophistication to a location that is already full of character. Tact Architecture created a stunning exterior design that is both modern and incorporates brick elements to speak to the former industrial nature of the surroundings. Interiors are by Seven Haus Design, which is based right on Carlaw, so they are intimately familiar with the ambience of this special location. Fabulous amenities include a unique 25,000 square-foot indoor/outdoor ground-floor event space that will be perfect for everything from art shows to theatre performances. The building will also feature a fitness centre, guest suites, and an 11th floor rooftop oasis that is simply unbelievable. In the style of a cabana, the indoor lounge will have a big-screen TV, and the outdoor terrace and lounge a sun deck, barbecues and dining tables. Just imagine the potential for entertaining friends and family with breathtaking views in the background! The suites are beautifully appointed by Seven Haus Design with positively striking 9-foot exposed concrete ceilings, engineered hardwood flooring, ultra-modern kitchens and bathrooms with stone countertops, and frosted glass sliding doors to the bedrooms. Suite choices range from studios to one- and two-bedroom layouts, some with dens. Prices begin from the mid-$200,000s. In addition, Streetcar has just released 13 Urban Towns. These striking 1,561 sq. ft. three-storey, three-bedroom residences are priced at $679,900. 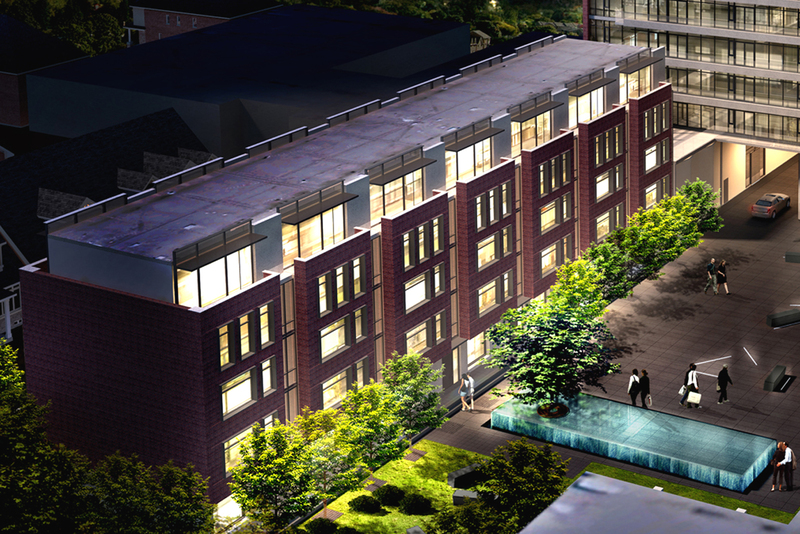 Find out more about this popular condominium atwww.thecarlaw.ca.